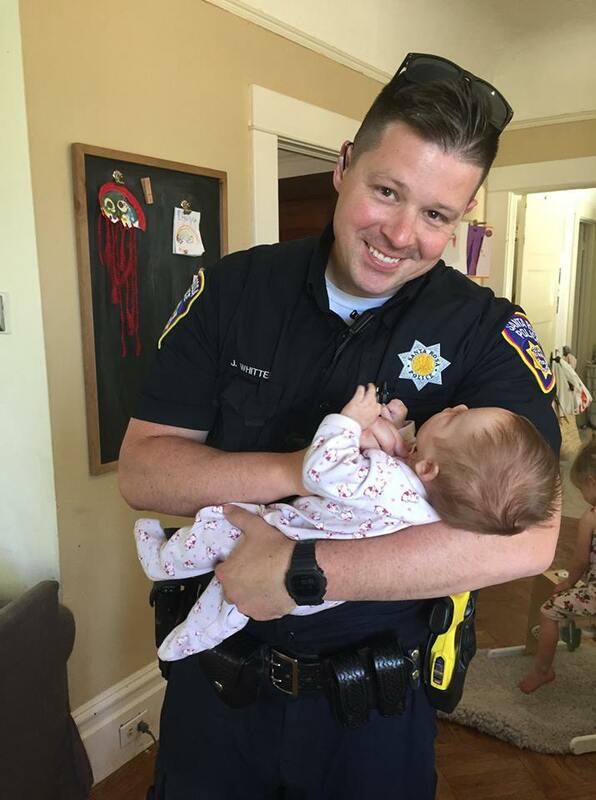 A Santa Rosa police officer who responded to an emergency call of a homeless pregnant woman has adopted her newborn daughter. Months later, the Whittens got a call that would change their lives forever. The homeless woman specifically asked for Ashley and Jesse to adopt her unborn child. This week that little Harlow’s adoption became official. “Ofc. Whitten, the proud father of three girls already, opened his heart and his home to this baby. And now it’s official! After a moving adoption hearing, she is a part of Ofc. Whitten’s family,” the Santa rosa Police department wrote on Facebook. Harlow was exposed to drugs in the womb and overcame obstacles in the first few weeks of life. She is doing much better now.